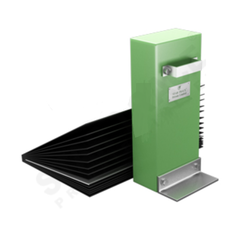 Our range of products include plate magnets and magnetic sheet separator. 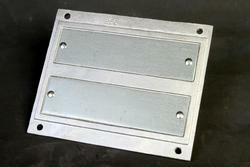 Erich Permanent Plate Magnets protect against tramp / fine iron contamination in processing lines. These are available in either ceramic or high power rare earth magnets. Rare earth magnets are suitable for capturing very fine ferrous material or weakly magnetic material. · Suspension over non-magnetic screens, chutes, conveyors etc. · Sizes from 4 to 60 inches (102 to 1524 mm) width. · Whole stainless magnetic poles construction also available. With our years of experience & in-depth knowledge in this field, we are engaged in offering a quality-assured array Magnetic Sheet Separator.